As Far as you can, as Fast as you can, on just $1.00 of Fuel. 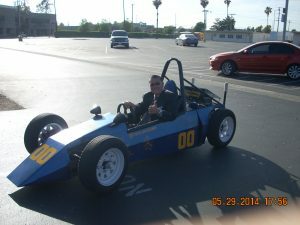 Anaheim Union School District Superintendent, Mike Matsuda taking a ride in Car 00 from Anaheim High School before the 2015 UCI Energy Invitational. The UCI Performance Engineering Program is preparing for its 4th annual UCI Energy Invitational on May 24th, 2015. The event will feature vehicles designed by local college and high school teams like the one shown here with District Superintendent, Mike Matsuda behind the wheel. The UCI Samueli School of Engineering, Vital Link and several Orange County High Schools collaborated to bring the UCI Energy Invitational to high school students, giving them the opportunity to develop coveted skills in several disciplines including: manufacturing, computer modeling, engineering, project management and quality assurance. 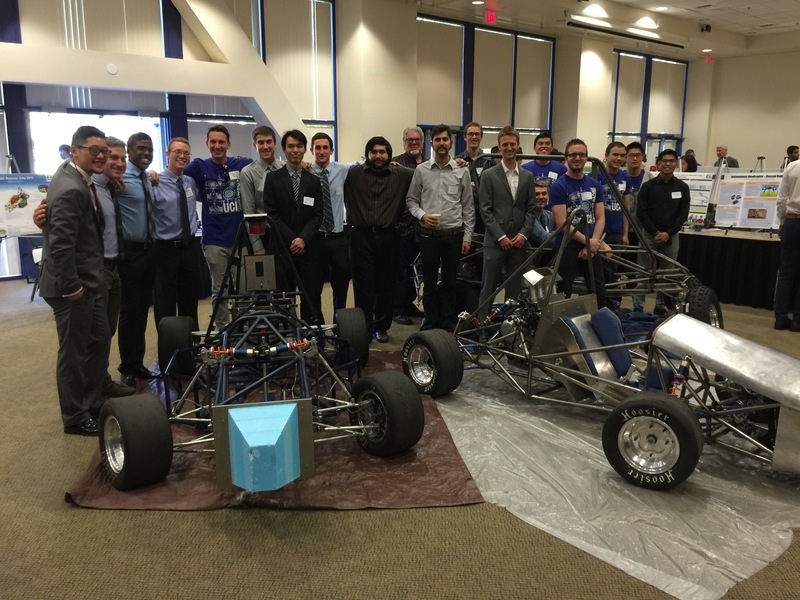 Contestants will pit their vehicles against UCI’s all-electric champion named, “Zeta”. The catch is that each contestant is required to go as far as they can, and as fast as they can, on just $1.00USD worth of fuel. Contestants may use any type of fuel that they want in their vehicle but they will be penalized for any estimated overages of fuel capacity. 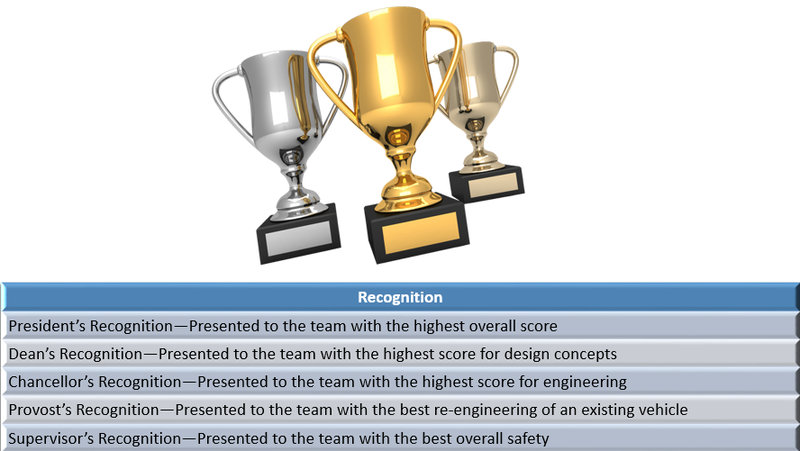 In addition to the glory of beating Zeta, contestants will also vie for 5 different awards of recognition based on other factors like design quality and highest overall score, for example. 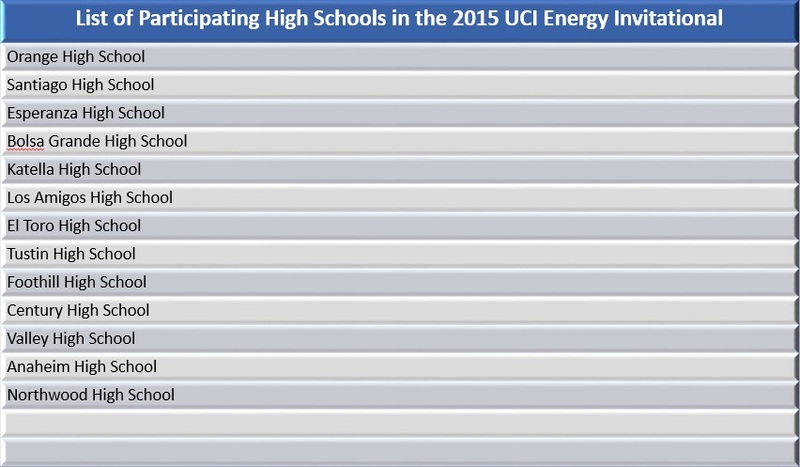 The 2015 UCI Energy Invitational promises to have a little something for everybody. Automotive racing fans will enjoy rooting for their favorite racing teams, while technology enthusiasts will enjoy learning about the emerging technologies that each team employed in the design of their vehicle. 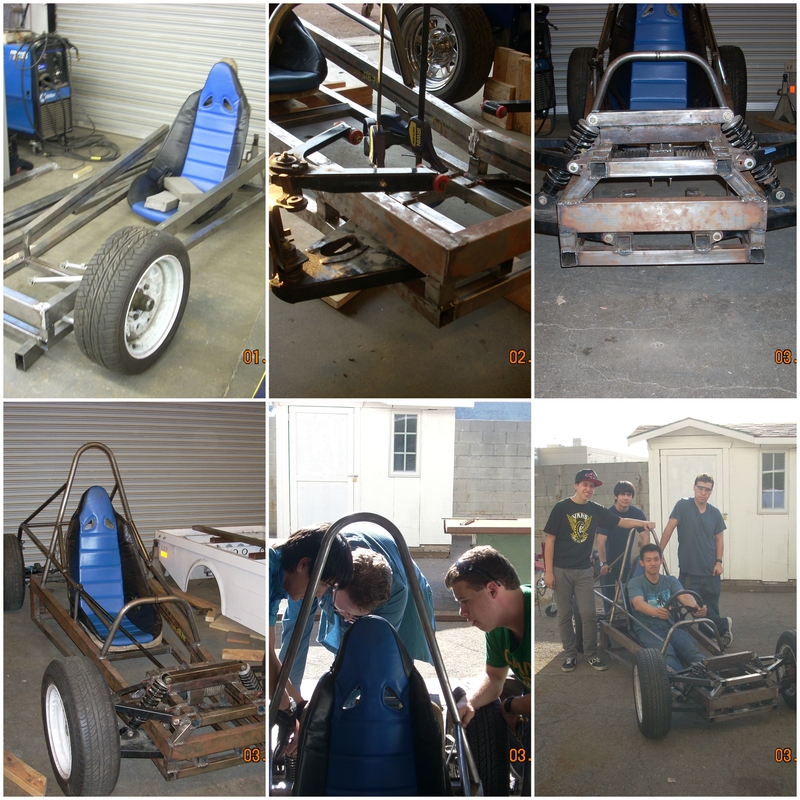 For those who attended the 2015 ocMaker Challenge and STEM Showcase, this will be your opportunity to see many of the same project vehicles in action! salvaged car batteries which are partially resupplied through the use of regenerative braking. Students also made use of 3D printing technology with several custom design features including these functional port scoops to cool the batteries and motor which were printed on ROP instructor, Ron Ponce’s Airwolf 3D v.5.5 printer. The vehicle is capable of speeds in excess of 43 mph, but just as importantly in a race like this is how effectively the driver uses his/her limited fuel. There will be no pit stops, so each driver must ration their energy as best as possible while also trying to win the race. Bonus points will be awarded to teams who manage to use exactly 25% of their energy in each of the four “heats”, so drivers will have to race smart to win. Last year the Anaheim High team placed second to the Foothill High team due to their bonus point bump; so this year Anaheim will be looking to even the score. Like all Vital Link sponsored events the UCI Energy Invitational provides a rich learning environment where students nurture STEM (Science Technology Engineering and Math) skills, and much, much more. The collaborative and competitive aspects of the project help young students to build the social and organizational skills that they will need in the workplace and teaches them how to work within the confines of rules, budgets, and time constraints to produce the best results possible. One example of this came when ROP instructor, Ron Ponce stated his intention to use aluminum instead of steel for next year’s vehicle body. When asked why he chose to use steel for the body this year he replied, “Because that’s all we had.” This statement smacks of classic hot rodding spirit where young tinkerers made their cars go faster by whatever means possible. Similarly, contestants of the UCI Energy Invitational work within the constraints of time, money, and available technology to push the boundaries of what is possible in Emerging Technology vehicles. This is the hotrodding of today. Come and see for yourself. Airwolf 3D is committed to designing and manufacturing high-performance consumables, accessories and 3D printers that are fast, affordable, durable and easy to use. All Airwolf 3D printers are made in America, manufactured in the company’s 12,000 sq. ft. facility in Costa Mesa, Calif. Airwolf 3D printers can be found in Fortune 500 companies, engineering firms, government agencies and schools worldwide. For more information visit www.airwolf3d.com, telephone (949) 478-2933, email info@airwolf3d.com, or visit the company’s showroom at 130 McCormick, Suite 105, Costa Mesa, CA 92626 for a free demonstration. This entry was posted in 3D Printing for Engineers/Architects, Blog, Events and tagged ROP, STEM, UCI, vital link.